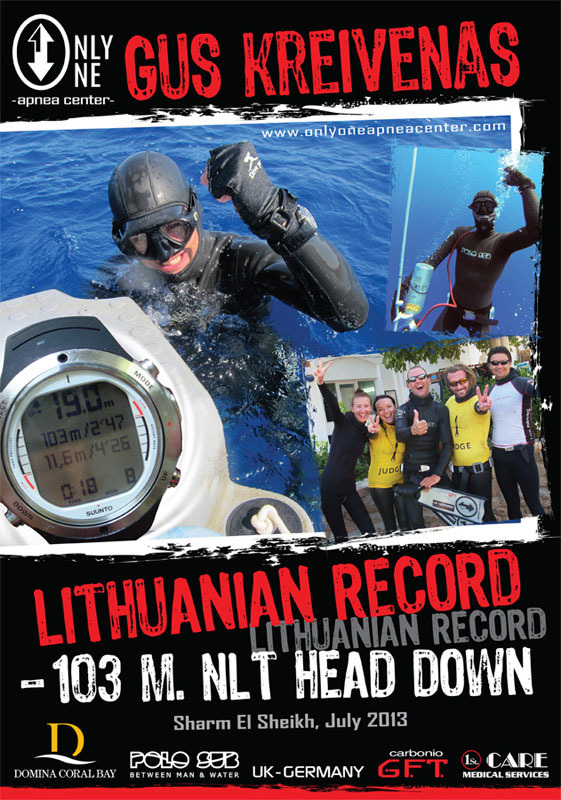 This entry was posted on Monday, July 22nd, 2013 at 11:56	and tagged with free diving record, gus kreivenas, national record, no limits and posted in Athletes, Only One Apnea Center. You can follow any responses to this entry through the RSS 2.0 feed. « New N.E.D. Insole by Carbonio G.F.T.